10 Of The World's Best Whitewater Rapids. 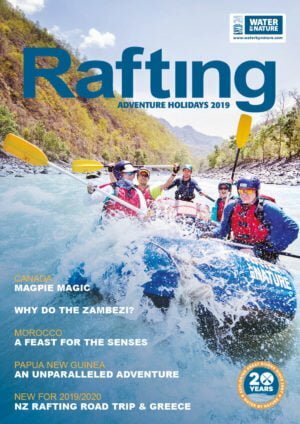 Always open to debate amongst guides and guests alike, here are some of our favourite rafting rapids that we get to run each and every year. Despite this not being an exhaustive list, it is based on what we hear from you, our guest, and what the guides love to run as well. By all means, send us the rapids you love to run as well. The rapids are listed in no particular order. This incredible whitewater delight is the final runnable rapid of the Zambezi Blast and Ultimate Adventure trip. This rapid consists of three large waves, each progressively bigger coming off an island on the right side of the river. The key is to punch right and try and stay right (as well as keeping the raft straight) as going left may result in a swim or a flip and being pushed into a powerful eddy on the left side. 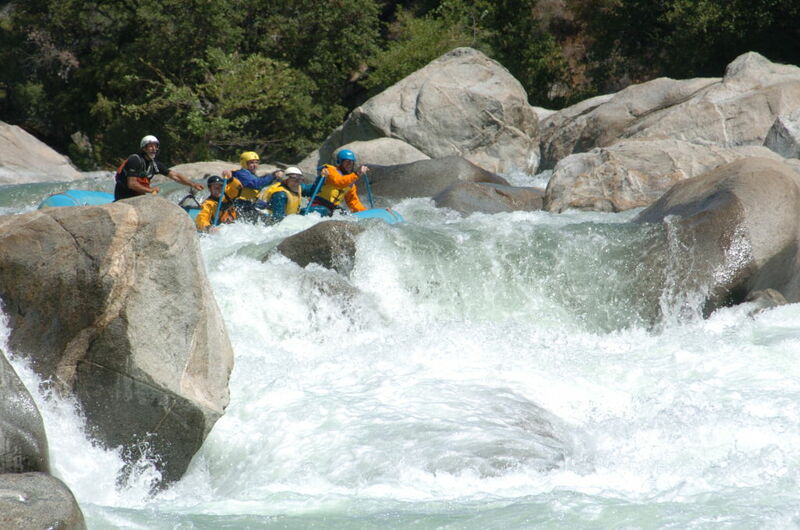 Set in the Sierra Nevada Mountains around Yosemite in California, the Tuolumne offers world class whitewater. This rapid is continuous and amazing. 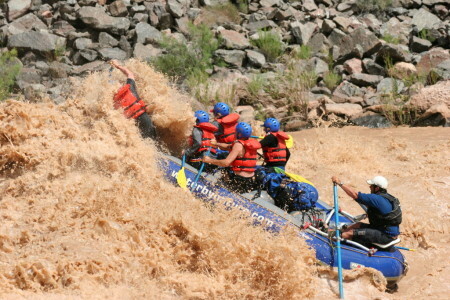 On the first part of the rapid, we paddle the raft left and then backwards over a large 20 foot drop, whilst hi-siding. Sound exciting? It is! Just downstream a final Class V vertical (also called Toadstool) splits around another big rock that catches a lot of current. The guides who work on ‘The Creek’ are the most skilled and detailed orientated guides in the world. We stop well above this large Grade 5 rapid on the final day of whitewater, before the Tamur tumbles into the Sun Kosi. A large hole exists in the middle of the river at medium – high flows where the guide and his/her crew has the option to paddle across hard to the right to avoid the hole. Safety is set up below the rapid on the right side of the river on the chance that there is a swimmer. Pure 100% FUN. This is one of the largest commercially run rapids in the world. On the first descent of this river by Sobek in 1981, Rapid 5 was considered too dangerous to run. Now it gets run on a daily basis much to the delight of many thousands of people who have rafted the Zambezi. Many guides and guests liken it to ‘dropping off a two story building – but a lot more fun’. Big warm water (24 degrees celsius) makes this river even better. 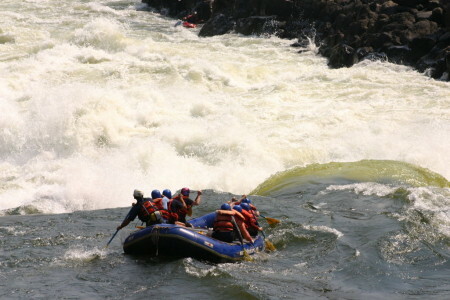 Despite the many rumors, it is quite straight forward to get through many of the Zambezi’s rapids without flipping. One of the world’s most iconic rapids, Stairway to Heaven. The Rio Cotahuasi has extremely continuous Grade IV and V rapids, Marpas Mile stands out at being very continuous and demanding. The river over this section drops in excess of 80 feet per mile and great teamwork and safety is essential. 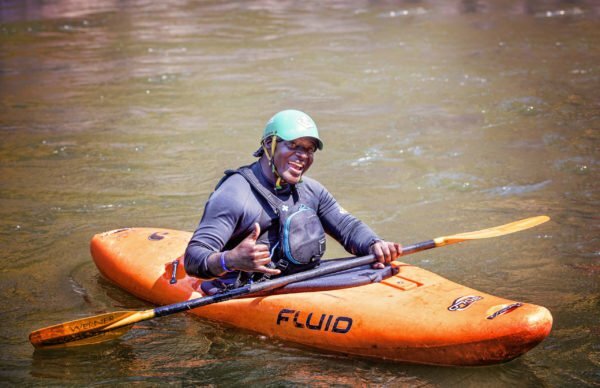 Safety kayakers run the rapid first to protect guests in the unlikely event of a swim. The guides use oars at the back of the raft for extra power to punch through the hydraulics. A very committing rapid, where lines and the ability to run the rapid vary depending on the water level. (like most rapids) Guides normally stop rafts and get out and scout (look at the rapid) from the river left side. The rapid was given its name by an early raft that came down on the 1990’s and went straight into the Terminator hole in the centre of the river, this Terminating the expedition. 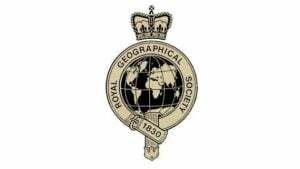 The rapid generally is run down the left side and then paddle rafts will head back across to the centre of the river, missing the so called Peninsula Rock on the left side of the river. This rapid is followed by the Himalayas! The Rio Futaleufu is a world class and awesome river. This rapid is awesome at medium flows from 10-14,000 CFS (cubic feet per second) At lower flows, the waves tend to get a little smaller, but at ideal flows, this is one of the best rapids on the Colorado. There is nothing challenging about it. It’s just a big, fun wave-train culminating in a pretty size-able third wave. The beauty of the Colorado River running through the Grand Canyon, is that it is a ‘drop-pool’ river, where you run a rapid and it is followed by a flat pool, where you can recover swimmers if necessary in a safe environment. Gods House, Karnali River, Nepal. 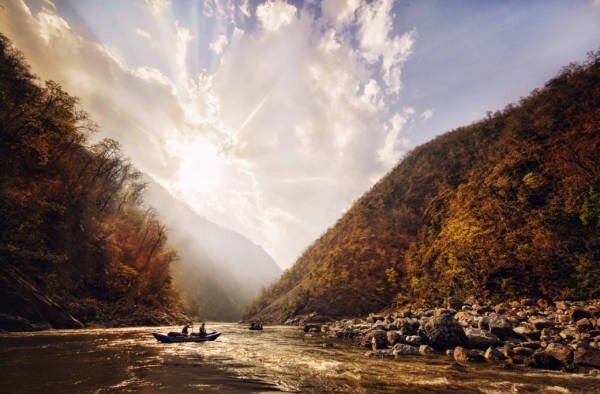 Post monsoon, when rivers are at their best in Nepal, we head out to the Karnali River in the Western part of Nepal, with all its incredible whitewater and remote beaches. One of the highlights on the Karnali for guests and guides alike is Gods House, a Grade V rapid that offers a world class challenge. Guides tend to scout this rapid and set up safety below. Rafts start centre left and paddle hard towards the right of the river, dissecting two enormous holes. Massive waves are a common occurance at medium to high flows when challenging Gods House. Immediately afterwards, you’ll be treated to a number of other Grade IV and V rapids such as Juicer, Flip N Strip and Freight train. This iconic waterfall, is the highest commercially rafted waterfall in the world. 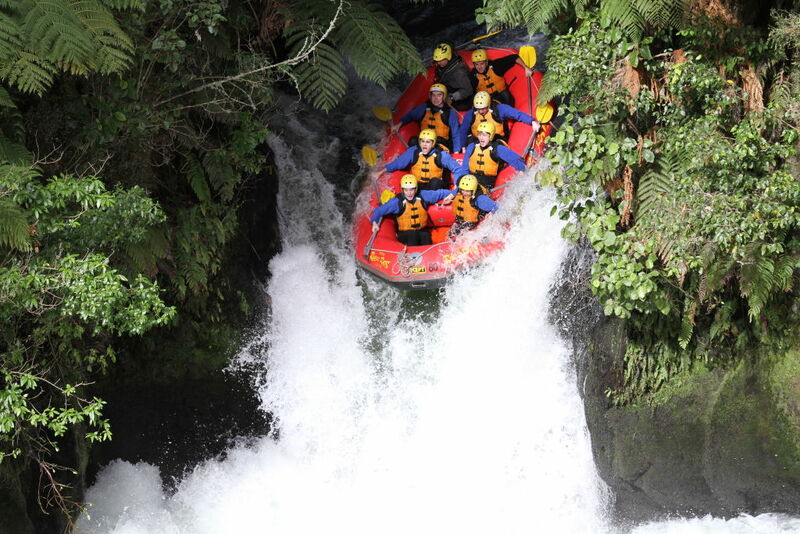 The rafts are generally double guided (a raft guide in the front and back of the raft) to line up for the 7 metre (21 feet) drop off Tutea Falls. The river has 2 smaller waterfalls before going off ‘the big one’. The waterfall understandably sees a few raft flips (where the whole raft goes upside down and everyone is swimming) but again, this washes into a flat pool where other rafts and kayakers can rescue you. The trip on the river is quite short (around 40 minutes) but certainly thrilling! The 7 metre drop of Tutea Falls, Kaituna River, New Zealand. ‘It’s not the first wave, its not the second wave, but that huge THIRD crashing wave, the wave they call OBLIVION’! A iconic and fabulous rapid at medium to low flows, that can stop rafts, put people in for a swim, flip rafts, or of course let you straight through. 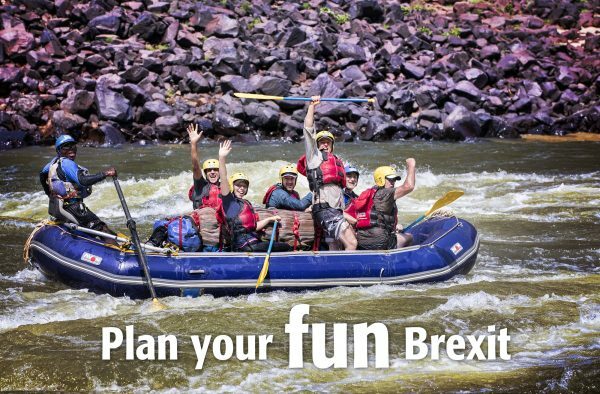 You’ll see the guides standing at the back of their rafts to make sure that the raft before them have made it through, before entering the rapid. The rapid washes into a big flat pool, so if you do happen to take an unexpected ‘dip’ your safety kayakers will be waiting downstream, ready to rescue you. So there it is. Our take on some of the most fun rapids in the world. But as we all know, the list is almost endless. Please let us know which rapids you love the most from your rafting vacations?